WordPress is a fantastic platform for a perfect CMS. It offers high definition features which impact users to a great extent. As using video content enhances online presence, it is better to go for WordPress video plugins. This is one of the CMS which you can use in another way, i.e., for blogging. Whenever you are downloading the videos in the right way, it makes your website very fabulous, and at the same time it gives you a best way of using plugins for your website. It offers many video plugins which give your website a powerful mode of expression on the Internet. Moreover business peoples are very entertained by using this WordPress Plugin online. This article gives you a more features of exciting Video Plugins. Take your own time and enjoy one by one from this article. 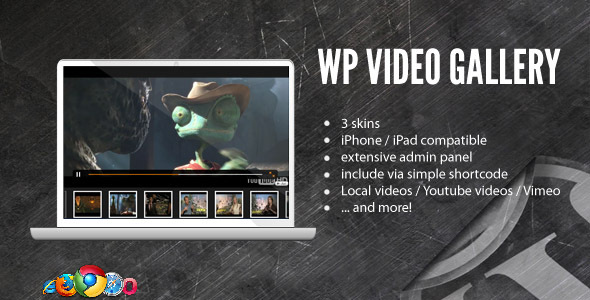 WordPress Video Plugin is exclusively designed to suit and give a new level of experience to your visitors. It will offer and provide a facility to add a control cluster of videos to your WordPress site in a much easier and an efficient way. This video gallery comes with an inbuilt HDFLV Player which is the current flavor for its high definition video quality. This is one of the WordPress Video Plugins which allow easy video embedding of supported sites. Videos can be easily embedded from Youtube, Youtube Playlist, Yahoo!, Bing so and so on. This kind of video will support to all the quality functional websites. Manage your videos directly from your WordPress Admin Panel, when you install into the You Tube. It will customize the player appearance and at the same time it will quickly insert video using WordPress. Cool Video Gallery is a video gallery plugin for WordPress with an option to upload the videos, add Youtube videos and manage them in a multiple galleries. HTML5 Video Player comes under Codecanyon.net. This plugin is a simple video player with multiple skins and it comes over the right side of the playlist video player with multiple skins. It can be used as a bottom playlist video player with multiple skins. Light View Plus is one of the WordPress Plugin which helps you to view and play more videos from YouTube, Blip.Tv and Vimeo. This plugin is automatically enhance the image links to use in light view. Smart Youtube is a Professional WordPress Video Plugin that allows you to easily insert videos/playlists into your post, comments and in your RSS feed. Click the below link for more information. Vidembed will allows you to easily add videos to pages, posts and widget areas. It supports the both self hosted videos and those from external websites. Media Blender is a highly customizable media showcase that allows you to finally show all of your media easily. It comes packages with 3 gallery styles. It make use of it in multiple areas of your website. Click the below demo link for more information. Riya is a content writer who enjoys the challenges of creativity and writing. The sparkling research, deep understanding and everlasting knowledge makes her unique in the field of writing. She has a very good exposure on writing daily deal website development eCommerce related websites and also an expert blogger, writing for the past 4 years.